Dr. Atwal is the medical director of South Bay Animal Hospital & Pet Resort. He immigrated to the US from Punjab, India in 1990 and started his clinical rotations and internship at Purdue University in Lafayette, IN shortly after his older son was born in September 1991. Once he finished his internship, he proceeded to pass all required national and state tests for certification and opened his own veterinary clinic in 1993. Since then, he has continued to practice the highest form of veterinary medicine here at South Bay Animal Hospital. He is multi-lingual in English, Hindi, and Punjabi. He is a current and active member of the AVMA, CVMA, SCCVMA, World Vets, SNIP, and much more! best possible individualized and ongoing care for animals with heart disease. Dr. Kienle received his Bachelor of Science Degree, in veterinary science, from Texas A&M University in 1987. He received his Doctorate of Veterinary Medicine, also from Texas A&M University, in 1990. 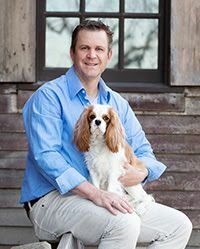 Dr. Kienle completed a small animal internship at the Sacramento Animal Medical Group in 1991 and completed his residency in cardiology at the University of California, Davis in 1993. His intense training during that time focused on advanced cardiovascular diagnostics, acute and chronic management of cardiovascular diseases, and minimally-invasive interventional procedures. Dr. Kienle was board-certified, in cardiology, by the American College of Veterinary Internal Medicine in 1994. When not practicing veterinary cardiology Rick enjoys playing bass guitar with both secular (Los High Tops) and church bands (NHCC). Rick enjoys building basses/guitars, effects and amplifiers. Rick also enjoys dabbling in restoration of vintage vehicles. His current projects include building a replica amplifier of a late 60's Ampeg B-15 and he is currently restoring a 1968 Ford F100 pickup. During the more temperate times Rick can often be found cruising the back roads of northern California on his Harley Davidson Road King. Rick has been married to his beautiful wife Betsy for 24 years. They have two adult children - Reed and Abby. Diplomate, American College of Veterinary Surgeons. Dr. Lee graduated from Washington State University in 1981 with a Doctorate in Veterinary Medicine. Following ten years as a private practice owner, he attended UC Davis as radiology resident and was board certified in radiology in 1994. He joined Dr. Kerr at VRS in 1995. Dr. Kerr received his Doctorate in Veterinary Medicine from Mississippi State University in 1981. He attended UC Davis as a radiology resident and was board certified in radiology in 1985. Following two years as a staff radiologist at UC Davis, he entered private practice. He also offers mobile radiographic and ultrasound services through his own radiology practice, Veterinary Radiology Specialists. 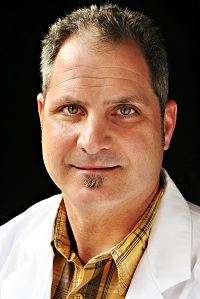 Dr. Eric Garcia is a native of Los Altos, California. He received his BS from Cal Polytechnic, SLO and his DVM from Colorado State University. He completed his residency in Radiology at Kansas State University in 2015 and completed his rigorous board examination later that year. We are pleased to welcome Eric and his beautiful dog, Amelia back to the central coast. When he has free time, Eric enjoys surfing, hiking, and bird-watching. I have been practicing chiropractic after graduating from Palmer College of Chiropractic West since March of 2004 and LOVE IT! I see a lot of families and specialize working with athletes (Certified Chiropractic Sports Practitioner and Active Release Technique). Recently I returned to school for a 5-month intensive program of Options For Animals to learn how to adjust small and large animals. When not in the office, I enjoy playing competitive pickleball. I look forward to helping your pet with all of their chiropractic needs! 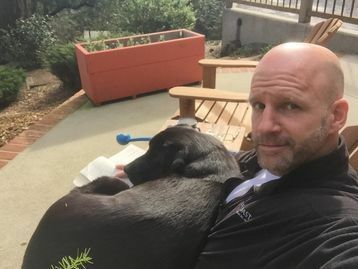 After working for several years at a specialty hospital in the East Bay, Dean was asked to create the surgical branch of Veterinary Specialty Services in Fresno. 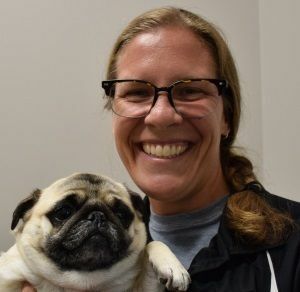 Building on these experiences, Dr. Filipowicz formed West Coast Veterinary Surgical, a mobile surgical practice. Before long, West Coast was providing surgical service for all emergency clinics and most large practices on the peninsula. Dr. Filipowicz merged his company with two long standing emergency clinics in the South Bay in 2014 after being hired to create a new specialty hospital. As medical director, Dean pushed for continuous improvement at all levels and prioritized patient care above all else. Different motivations and priorities allowed Dr. Filipowicz the opportunity to form Bay West Veterinary Surgery in 2017 and to continue to improve veterinary service in the Bay Area.